As much as I love the Fall season, there’s no doubt that it’s typically one of the busiest times of the year for me and my family. My husband and I sat down a few days ago and reflected on our day and how we were feeling. We’re both tired, mentally and physically. We both have multiple different projects going on, and we’re being pulled in many different directions. It’s okay to be busy and to have goals to work towards, but it’s not okay to remain mentally and physically tired all the time. Sometimes, you just need to take a break. I haven’t sat down and talked with the hubs much about us taking a little vacation, but it’s another bullet on my to-do list. So until I can find the time to plan something of the sort, I think I’ll just set my list aside for now and bake. Sometimes I consider cooking to be a chore, but most of the time I feel like it’s a much needed escape for me. If I’m lucky enough to get the toddler to go down for a nap (she’s been fiercely protesting her naps here lately,) I’ll ditch my work and just get lost in the kitchen – getting my creative juices flowing and then indulging in the fruit of my efforts. So I took some time for myself and baked a pie. 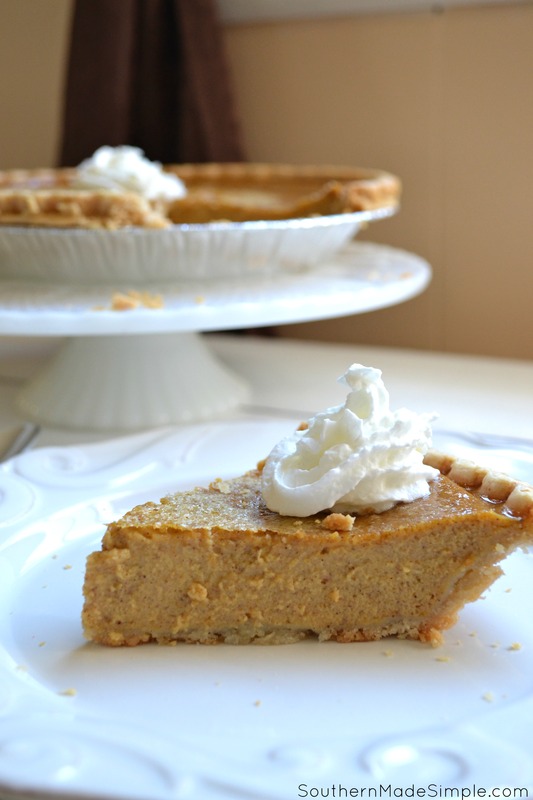 A beautiful, pumpkiny, custardy, creamy pie with a big ‘ol dollop of Cool Whip right on top. Just for me, and me only. I needed that pie, y’all. And boy, was it good to me. 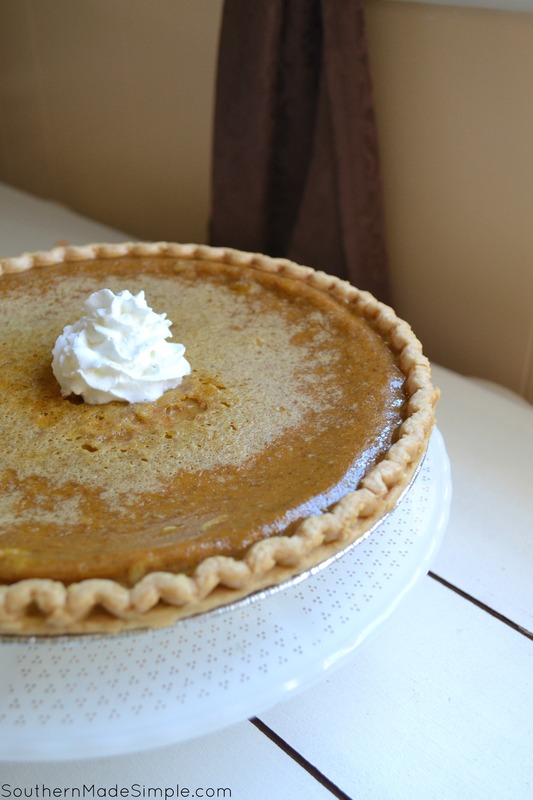 I love traditional pumpkin pie. I mean, I really love it. 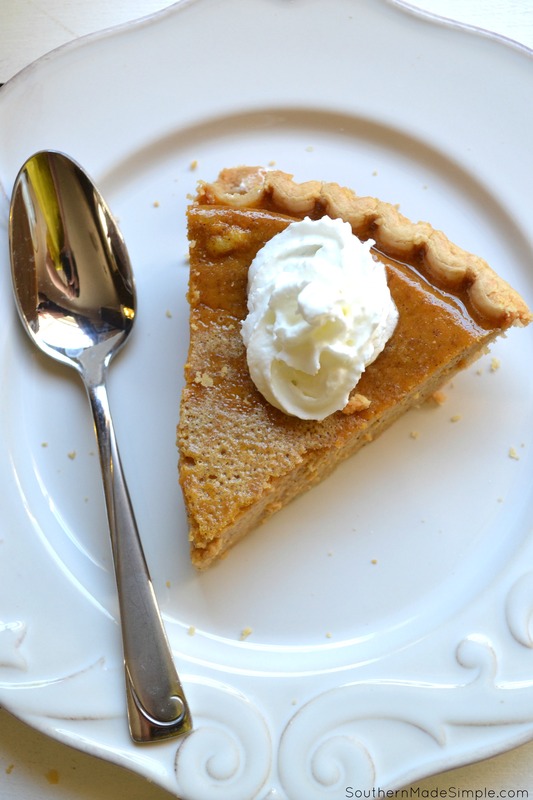 I can skip all of the other stuff on the Thanksgiving table and go straight for the pumpkin pie and call it a day. We’ve still got a while before Thanksgiving is here, though, and my hankering for the stuff just couldn’t wait any longer. Instead of doing a traditional pie, though, I decided to put a little twist on it. My taste buds wanted something a little thicker, creamier, and richer than plain ol’ pumpkin pie, so I took a stab at making a Pumpkin Custard Pie with some delicious farm fresh eggs that a friend gave to us. Once I pulled it out of the oven, my heart was stolen by it’s golden brown goodness. So. darn. good. 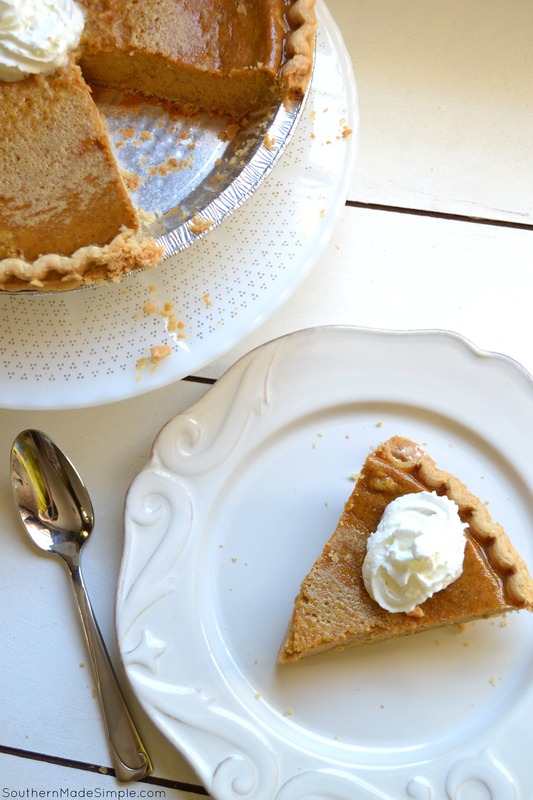 Each bite of this pie helped me unwind, refocus and indulge in all of the goodness that is going on around me. Sometimes all of the good can be masked by our own busyness, but it’s so important to slow down and just take some time for ourselves. This pie was exactly what I needed. Do you find yourself to be extra busy during this time of year? Do you find it hard to reflect on the sweetness of life going on around you? If so, my friend, you need a slice of pie. Kick back, relax, and enjoy every bite of life!